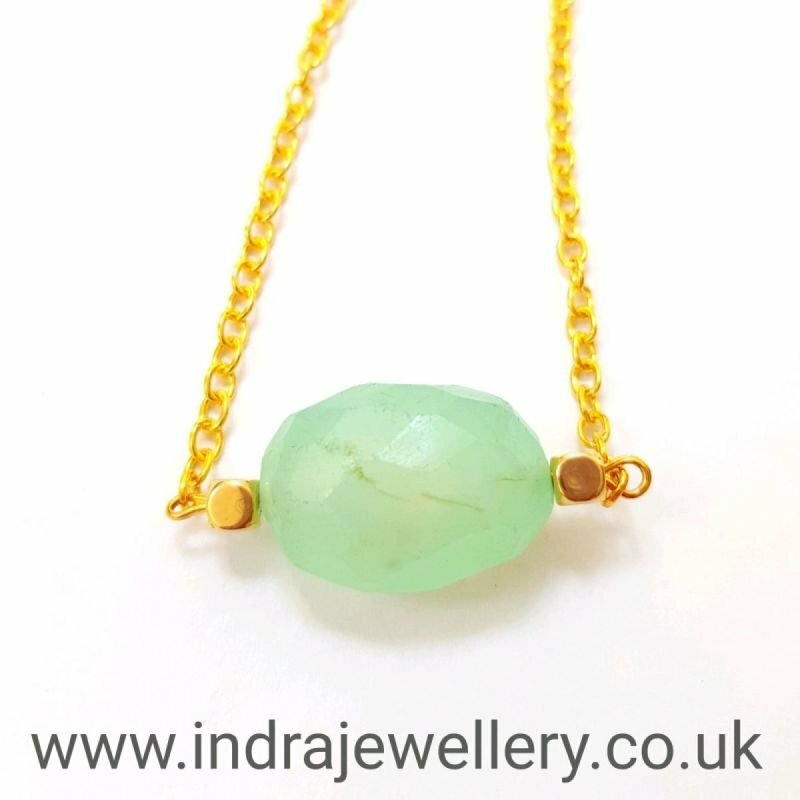 This is a really pretty chrysoprase necklace, The chrysoprase is a single large faceted chunk of stone, it has a beautiful green/blue tone to it which I have tried to capture in the photos, I have attached it to an 18" gold plated chain. Chrysoprase promotes joy, optimism and happiness. It helps to attract new love and is said to boost prosperity!